Investors see upside in Perth commercial property, with higher yields and less expensive acquisition costs attracting the interest of national real estate investment trusts, high net-worth individuals and large-scale developers. The finding is part of CBRE’s annual Australian Investor Intentions survey, which showed 10 per cent of respondents nominated Perth as a preferred investment destination, up from 2 per cent last year and the highest level recorded since the survey was launched in 2015. 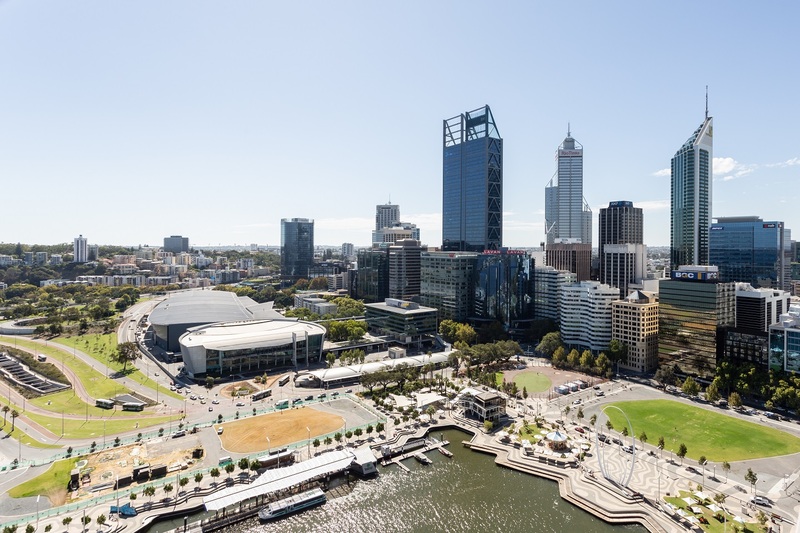 “In 2015 and 2016, 3 per cent of respondents said they would look into Perth,” CBRE associate director of research, Ben Martin-Henry told Business News. “In 2017 it was 6 per cent, and that fell down to 2 per cent in 2018. CBRE surveyed more than 80 of its clients for its research, which collectively have more than $50 billion of assets under management. Mr Martin-Henry said the main factor behind the nascent emergence of Perth as a destination for capital was higher yields relative to other states. “Generally, people think they are getting better value for money in Perth than in Sydney or Melbourne,” he said. “Sydney and Melbourne are extremely expensive at the moment, they are definitely hitting the top of their cycle, whereas Perth is starting to recover and people are really buying the counter-cyclical argument for Perth. While Mr Martin-Henry said industrial property assets were in high demand across all markets, he expected the bulk of capital to flow from the east coast would be into Perth’s office market. In addition to the high-priced nature of the Sydney and Melbourne office markets, he said there was not a lot of stock available for sale there. “There is more opportunity in Perth, for those who are looking to move up the risk curve and get a higher yield,” Mr Martin-Henry said. “The WA economy over the last few years has been pretty dire, but I don’t expect Perth to get any worse over the next couple of years. “It’s only going to go up, and if you’re going to hold an asset for 10 to 15 years then Perth certainly stands out as one of the better-performing markets for a long-term hold, because you’re buying at such a low price. Perth’s value proposition in the residential sector was also illustrated in Knight Frank Australia’s annual Wealth Report, which includes analysis of how much luxury property can be purchased with $US1 million in major cities around the globe. The report, which defines prime property as the top 5 per cent of each market by value, showed $US1 million can purchase 52 square metres of luxury space in Sydney, 97sqm in Melbourne and 116sqm in Perth. “Perth has seen an increase in the amount of space $US1 million can buy from 109sqm in 2008 to 116sqm as at December 2018,” Knight Frank head of prestige residential Australia, Deborah Cullen, said. Knight Frank director Michelle Ciesielski said early signs of a business recovery and Perth’s strengthening office market had a positive impact on prime residential properties, with prices rising by 2.1 per cent in 2018. “Properties along the waterfront have remained popular with the downsizing generation, and the city still offers good value relative to other major Australian cities,” Ms Ciesielski said.